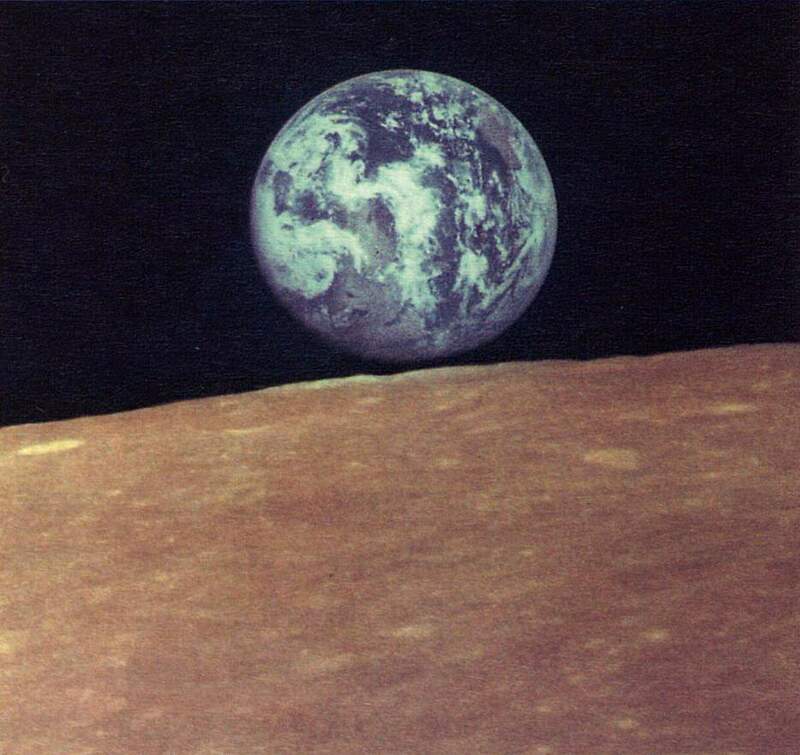 Two beautiful historical Earthrise photos, taken by Zond 7, the unmanned Soviet moon-flyby spacecraft in 1969, almost a month after the American Moon landing (on July 20, 1969). Zond (Зонд; Russian for “probe”) was the name given to two distinct series of Soviet unmanned space program undertaken from 1964 to 1970. Zond 7 was at least the seventh Soviet effort (and the first successful one) to send an unmanned spacecraft around the Moon and back to Earth. Following a spate of partial successes and catastrophic failures, Zond 7 was the first fully successful Soviet circumlunar mission. The spacecraft had been the last 7K-L1 vehicle manufactured for robotic flight. In the original schedule, the next flight would have been piloted. Like its predecessors, Zond 7 carried a set of biological specimens, including four male steppe tortoises that were part of a group of thirty selected for an experiment. After a midcourse correction on 8 August, the spacecraft successfully circled the far side of the Moon two days later at a range of 1,200 kilometers. 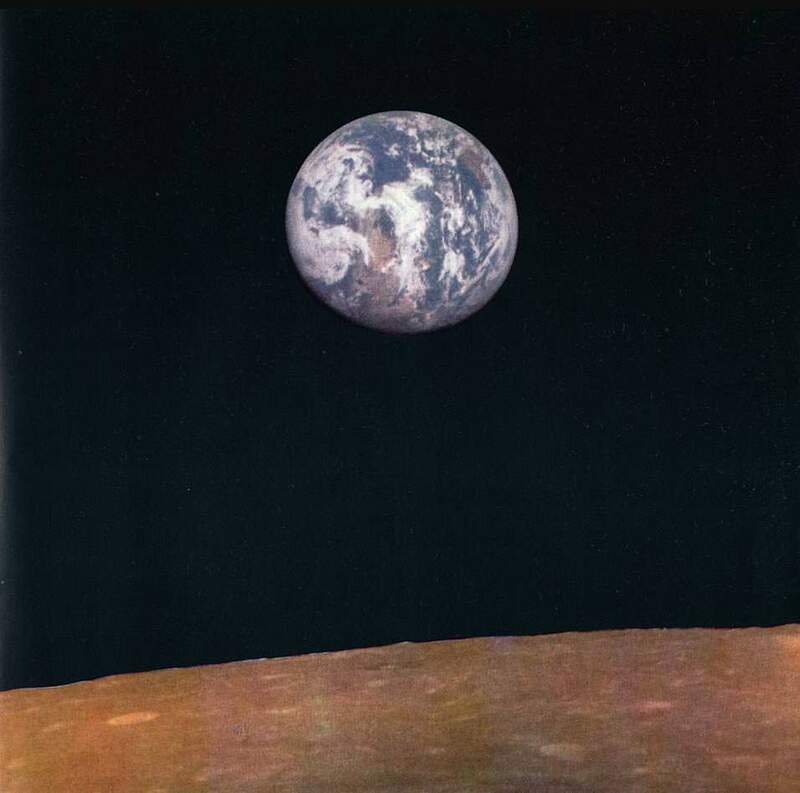 Zond 7 performed color imaging sessions on 8 August (of Earth) and 11 August (two sessions of both Earth and the Moon). The only major malfunction during the mission was the failure to deploy the main parabolic antenna (due to a problem in the securing cables), but this did not prevent fulfillment of all the primary goals of the mission. Zond 7 successfully carried out a guided reentry over Earth’s atmosphere and landed without problem south of Kustanay in Kazakhstan after a flight lasting 6 days, 18 hours, 25 minutes. Like other Zond circumlunar craft, Zond 7 used a relatively uncommon technique called skip reentryNotes 1 to shed velocity upon returning to Earth. The return capsule is on display at the Orevo Facility of Bauman University in Dmitrov, Russia. Zond (Зонд; Russian for “probe”) was the name given to two distinct series of Soviet unmanned space program undertaken from 1964 to 1970. Skip reentry and skip-glide are alternate terms of a rarely used Boost-glide technique. Boost-glide trajectories are a class of spacecraft guidance and reentry trajectories that extend the range of suborbital spaceplanes and reentry vehicles by employing aerodynamic lift in the high upper atmosphere. In most examples, boost-glide roughly doubles the range over the purely ballistic trajectory. Sometimes, a series of skips allows range to be further extended, and leads to the alternate terms skip-glide and skip reentry. Previous PostWatch: How Earth will look in 250 million yearsNext PostWhy meteoroids explode before they reach Earth?